We are pleased to announce a new enhancement to Glovius Section functionality. This enhancement improves the visual display of components during Sectioning by quickly segregating and identifying various components of the model. In case of an assembly, multiple hatching patterns are applied to distinguish the components for visual legibility. To generate a 3D PDF report using Glovius, Open a file in Glovius, Click on the Export tab and Click on 3D Report to generate this document. You can export files from all popular CAD formats including CATIA, NX, Inventor, Pro/ENGINEER, Creo, SolidWorks and many more. Download a sample 3D PDF report file and open it in Adobe PDF reader to view the report. 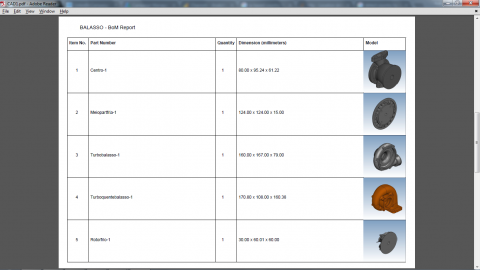 Export your CATIA, NX, ProE/Creo, SolidWorks and other popular CAD files to 3DPDF reports. Here’s a short video about 3DPDF reports in Glovius. Glovius is a native CAD visualization tool that supports all popular formats. 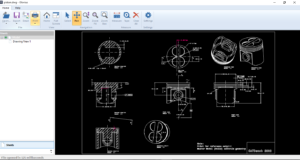 With Glovius, users can view popular CAD formats without a CAD license. 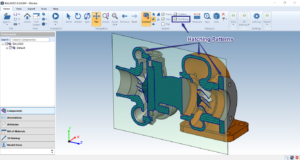 Its powerful query and analysis tools help users take decisions based on actual CAD data. Free iOS and Android Apps give access to CAD data on-the-go. Download Glovius and give it a try. We are excited by the latest advancements in the VR technology and Google Cardboard provides a simple and affordable platform to showcase Virtual Reality use cases. Download Glovius from the Google Play Store, sign into your account and tap the VR button and pop your phone in any of the Google Cardboard devices to experience the next big shift in 3D visualization technology. Get the Glovius app from Google Playstore now ! 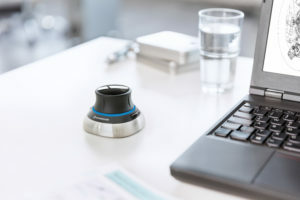 We are pleased to announce that Glovius now supports 3D Connexxion’s 3D Mouse. A 3D mouse provides smooth and configurable navigation of your components and is really helpful while navigating large 3D components. Plugin your 3D Mouse; fire up Glovius and make your work in 3D effortless, fast and fun ! You can download the mouse drivers from here. Technical Drawings or 2D drawings as they are popularly known convey lot of instantly glance-able information. Due to the international adoption of drawing standards these drawings are especially useful in collaboration by capturing the geometric features of the components. We had many of our users asking for support to 2D files. Today, we are happy to announce Glovius 2D – a free* DWG and DXF file viewer. Glovius 2D Viewer is free for all Glovius customers. Download Glovius and give the 2D Viewer a try. Download Glovius 2D along with Glovius here . *Glovius 2D is free for all our customers and uses the same license as Glovius. ** CATDrawing to PDF is in the works. Stay tuned.